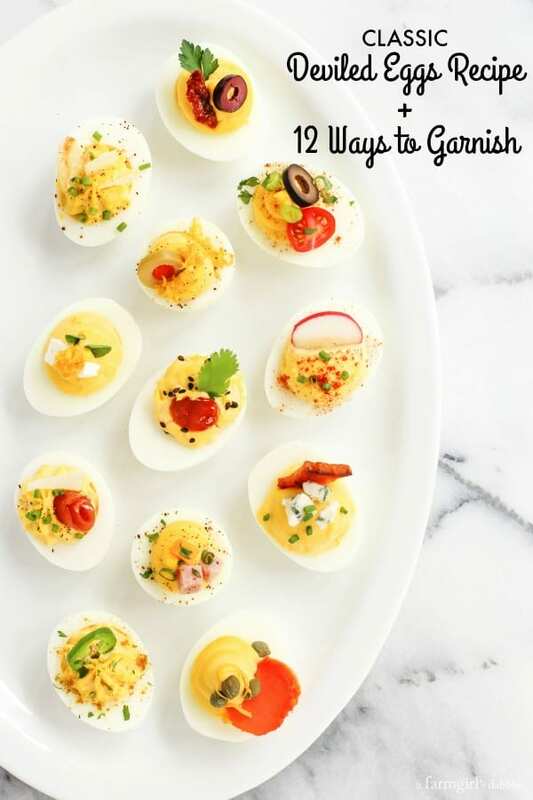 A Classic Deviled Eggs Recipe + 12 Ways to Garnish…and a few other tips for your most awesome deviled eggs ever! Deviled eggs are one of my most favorite appetizers ever. 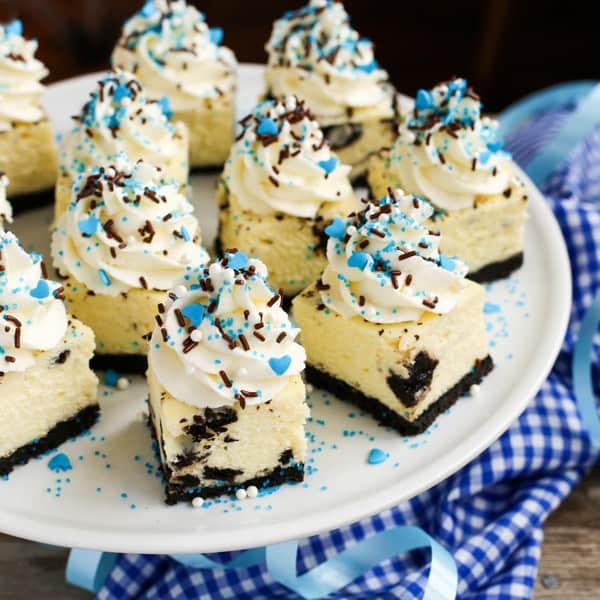 A little bit old school, plus big-time delicious, I find these creamy crowd-pleasing party bites completely irresistible! This Classic Deviled Eggs Recipe is about as basic as it gets, using just four ingredients. There are countless ways to liven up the flavor of the yolks mixture, but I’m keeping that part real simple here. Instead, I’m going to show you 12 Ways to Garnish the deviled eggs, to add flavor and pump up the fun factor. Are you ready for some fun with deviled eggs?! 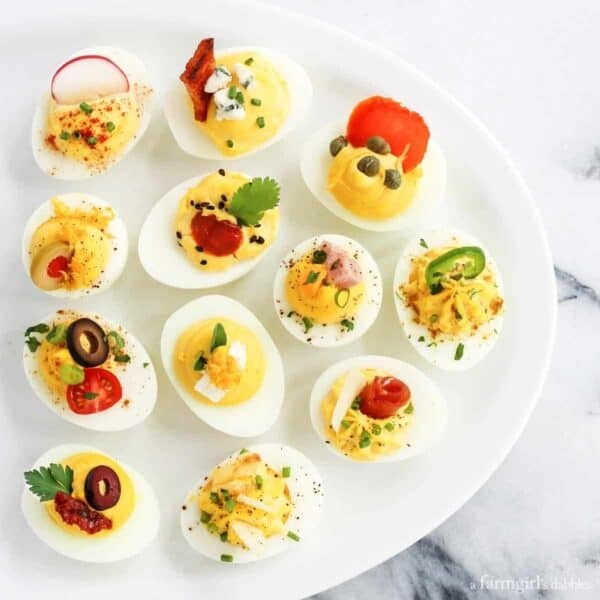 I created this post Classic Deviled Eggs Recipe + 12 Ways to Garnish for The Pioneer Woman’s website, where I am a regular contributor to Ree’s Food & Friends section. 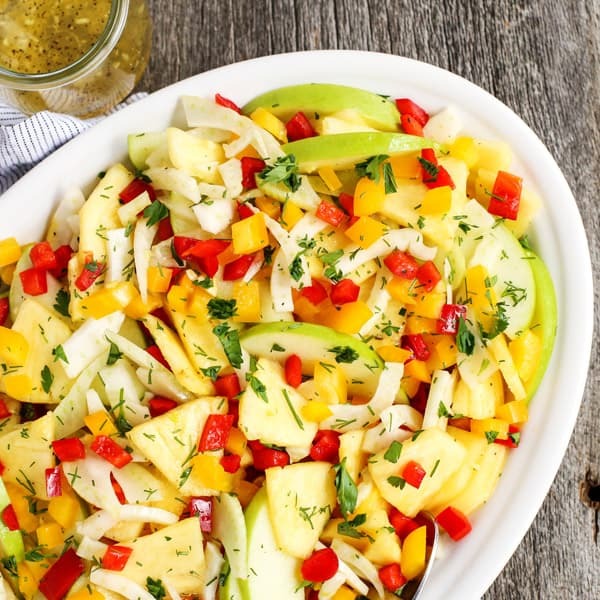 Click here to read the full post (and to get the recipe and tasty garnishing ideas!) 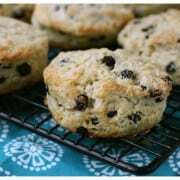 on The Pioneer Woman’s site! You just tugged at my heart ..lol…Loove deviled eggs..Thank you for the Fresh ideas…. I just love deviled eggs and all the endless possibilities for garnishing. These are beautiful, Brenda! I just finished up my devilled eggs for tomorrow! Thanks for the inspiration!!! The only hard part was convincing my girls that the eggs they had decorated should become a part of tomorrow’s menu!!! Of course I sampled a few, and they were wonderful!!! Deviled Eggs may be one of my all time favorites. 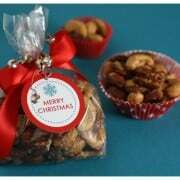 I’ve been in charge of making them for my family events since I was a little girl. Love how fun these all look, great garnish ideas! They’re my favorite too and these look so fun! Thanks, Matt. Happy Easter Weekend to you and yours! Almost. :) Happiest Easter to you and yours, Sandy! Yes, sesame seeds and sriracha. Sriracha is one of my very favorite ways to eat deviled eggs! Thanks, Brian.